History and culture unveil their secrets in the streets and towns of Calvados. 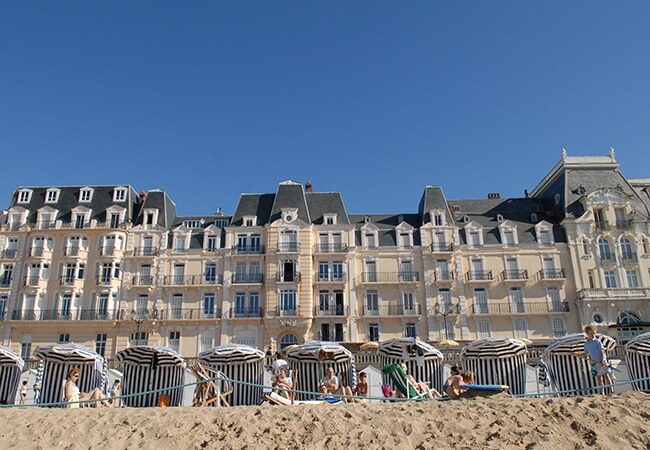 Cabourg is home to the quintessentially romantic beach. For you to fully appreciate all its qualities, you really need to take a late afternoon stroll along the beach, from where you can admire the sumptuous Belle Époque villas that line the foreshore. 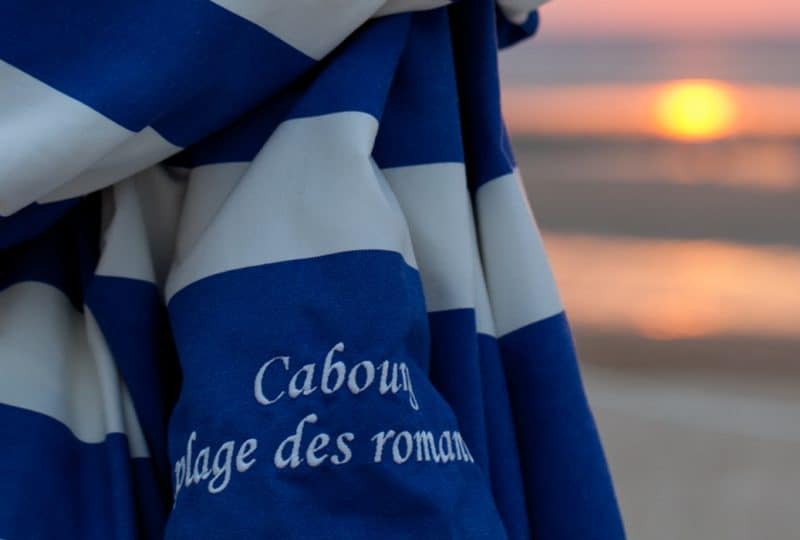 It is also a highly colourful seaside resort: Cabourg is rightly proud to be part of the Côte Fleurie coast! 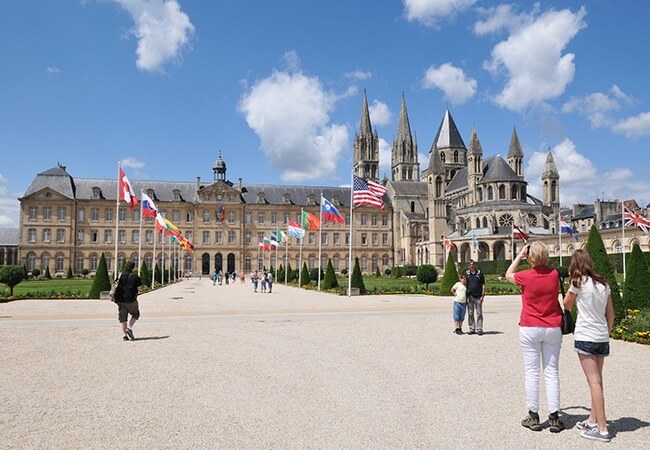 Caen, in the very heart of Calvados, is the city of one thousand lives! The city that watched William the Conqueror grow up, a thousand years ago, and that also played a major role in restoring Peace in Europe as from 1944. The many vestiges of this eventful past now blend in perfect harmony with this lively and modern town that is full of surprises and is well worth a detour. 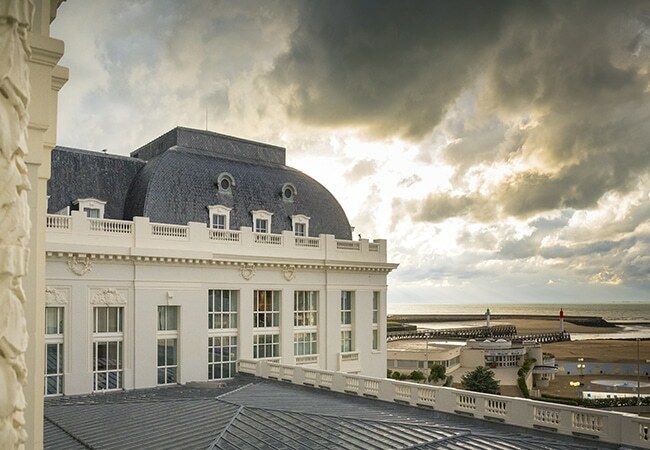 They call Deauville a high society destination. Yet, it is simply a resort that shines like the many stars it welcomes. 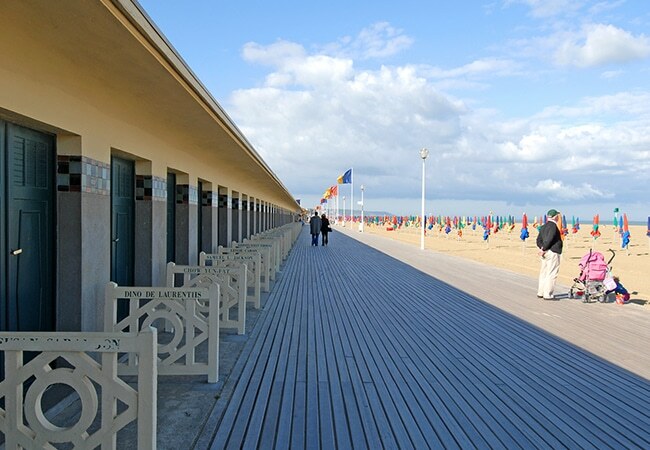 From its seafront promenade (and its famous 'Planches' boardwalk), its immense sandy beach and the fine stylish establishments that run along its shores, one could almost forget that it is also one of the leading meeting places for horse lovers, offering an essential link between the seafront and the Pays d'Auge countryside. 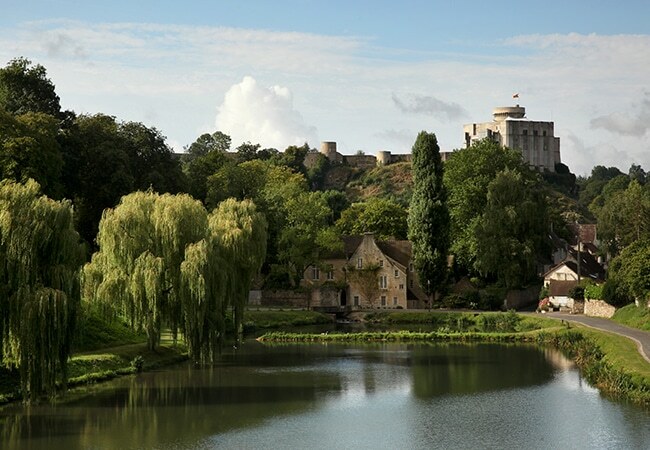 First and foremost, Falaise is home to William the Conqueror's castle, a magnificent edifice that proudly dominates the surrounding landscape. Nearby, the recently opened Memorial to wartime civilians is the perfect complement to the Mémorial visitor centre in Caen. 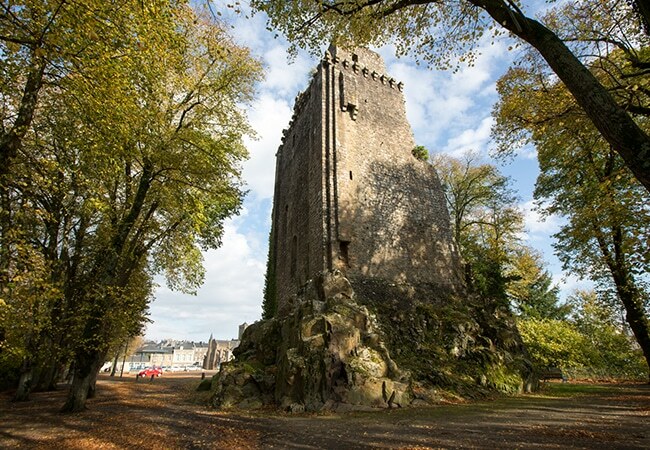 The ideal base for walking or mountain biking enthusiasts or simply lovers of wild open spaces, the town is regularly enlivened by events such as the Falaise Castle Games Fair or the Hivernales winter festival. 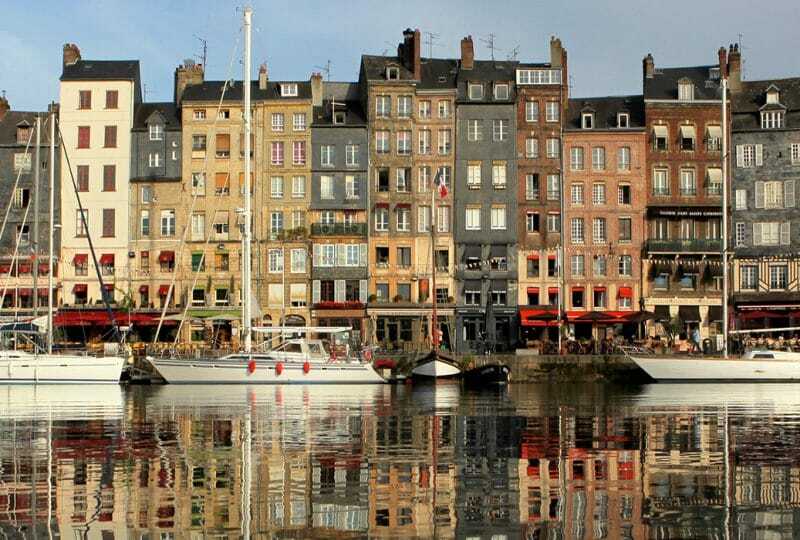 You'll have no trouble imagining Honfleur in the Middle Ages: this fine, 1,000 year-old city has preserved striking vestiges of its illustrious past. Its wooden church, with separate spire. Unique in France! Its marina, in the very heart of the town, lined with narrow and colourful terraced buildings. A marvel for photographers! 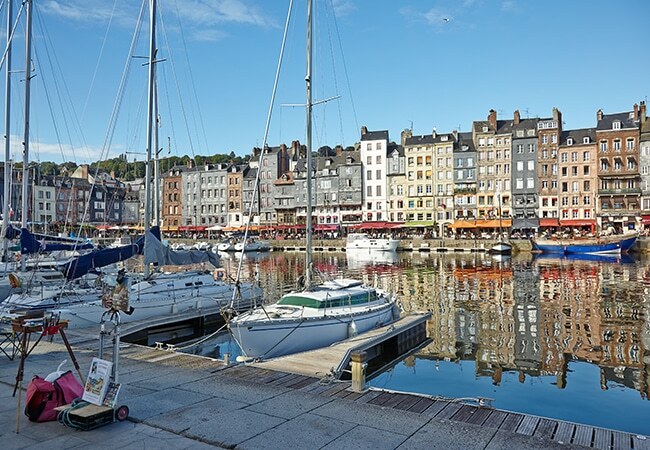 Honfleur is, without a doubt 'a harbour like no other'! If there were to be one picture postcard image of Normandy, it would surely be one of the Pays d'Auge. The omnipresent blossoming apple trees in the springtime offer our cider and calvados their inimitable aromas. A venture off the beaten track also takes the curious visitor to many a stud farm, where internationally famed race horses are bred. 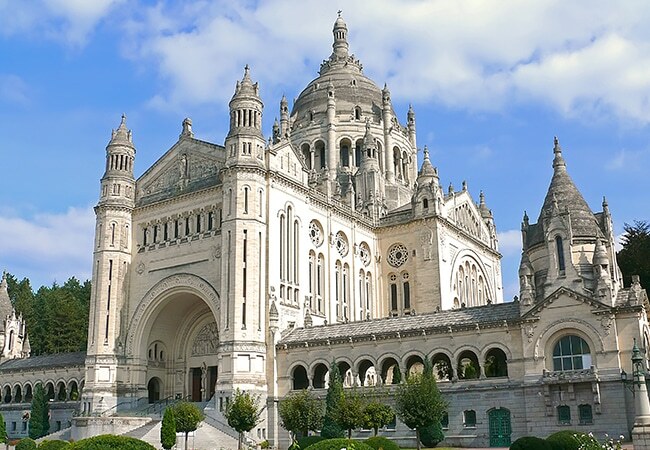 And many more flock to Lisieux, a renowned destination for pilgrims seeking to honour the memory of Saint Thérèse of Lisieux. The Belle Époque charm and narrow streets of Deauville's 'twin sister' seem to conceal some well-kept secret... And as you walk along its central avenue, amidst its many fine restaurants, you can admire the hundred-year-old casino in the distance, and the splendid Cures Marines hotel and spa that stands opposite the vast sandy beach, so popular among visitors who appreciate wide, open spaces. Nestling amidst the undulating and untamed landscapes of the Normandy bocage, Vire is the most southerly conurbation in Calvados. With its houses made of granite, in a contemporary architectural style, the town is also home to renowned skills and crafts: those of the fine Guy Degrenne tableware and the flavoursome Andouille de Vire chitterling sausage.